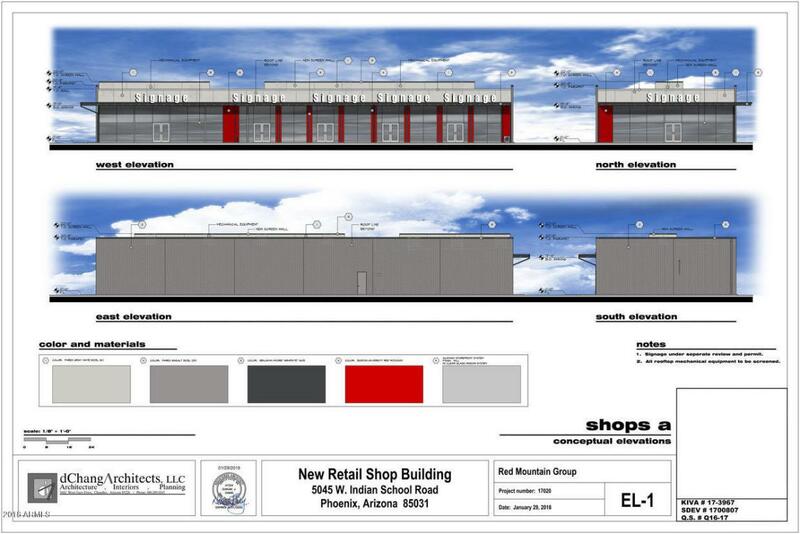 Hard Corner retail redevelopment in the heart of Phoenix. 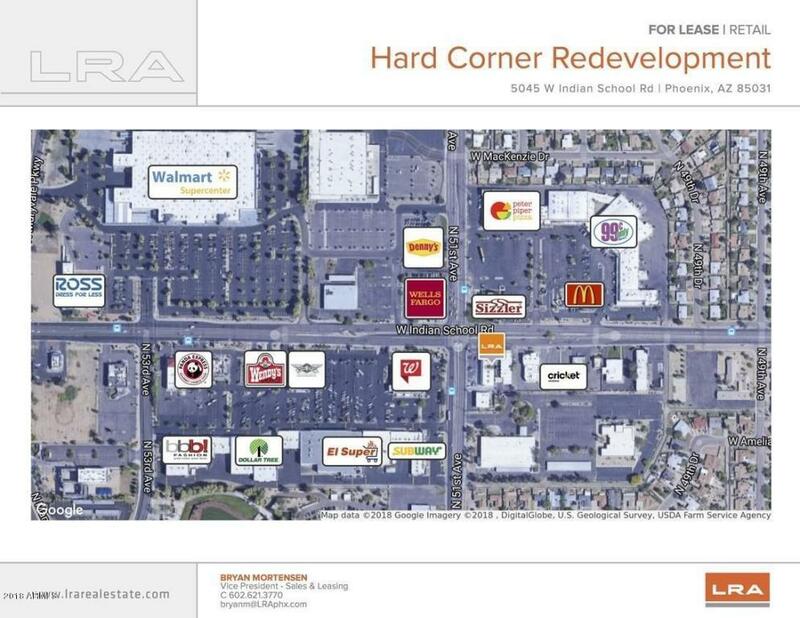 Located on the SE corner of 51st Ave & Indian School Rd. Excellent visibility from 51st Ave & Indian School Rd. Monument Signage available for tenants. New design gives each tenant an unobstructed view from the street. Adjacent to Milwaukee Brewers Spring Training Facility. At the same intersection as major retailers: Wal-Mart, El Super, Ross, Peter Piper Pizza, and many more. 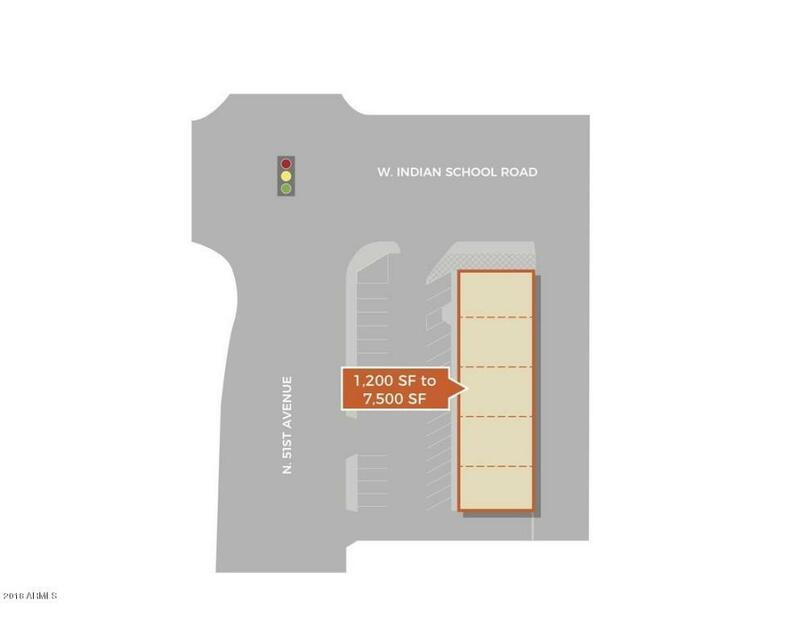 Perfect location for restaurant, cell phone, gym, clothing, specialty retail, and many more uses. Near I-10, Grand Canyon University, and large employers.